Holds the interest of your audience – A graphic that is colorful and engaging can help to maintain the interest of everyone listening to that presentation. A small visual aid is a great way to break up written content, giving something for the eye to focus on. Helps to retain information – For the individuals in your audience who are visual learners, graphics that represent your data or the points you are trying to make can ensure that the information you are presenting is better retained. Most people will better remember the content of your presentation if there were some nice graphics included. Helps to illustrate your point – Sometimes, visuals are just better at demonstrating what you are trying to say. They can help to illustrate the relationship between two ideas or show why different data points are important. Especially if you are trying to demonstrate changes over time or market segments, something visual can help. 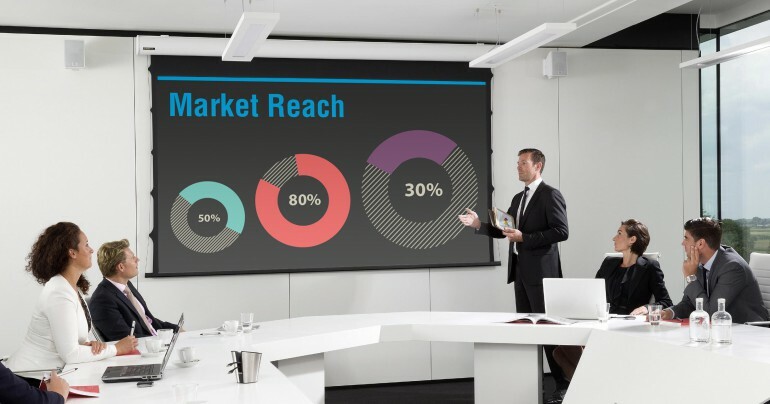 Prevents you from simply reading your presentation – You probably already know that you should not just be reading your presentation off of the slides. Visuals can help to underscore what you are saying, while also preventing you from simply reading your slides to a group of people who could likely just read those slides themselves.